Save the Harbor / Save the Bay's “Better Beaches” program grew out of the recommendations made by the Metropolitan Beaches Commission in their 2008 report “Beaches We Can be Proud Of” and was (and still is) made possible by a generous $25,000.00 grant from The Boston Foundation, a similar amount of in-kind support from the Department of Conservation and Recreation, and contributions from our corporate and philanthropic partners. 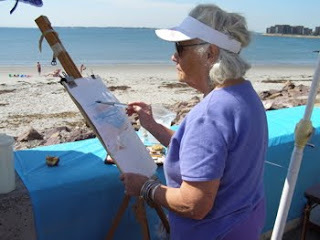 In the first year we funded activities designed to jumpstart public activities and events on public beaches from Nahant to Nantasket including beachfront concert series, kite festivals, sandcastle competitions, beachside art shows, swimming lessons, family fun nights and reading programs and neighborhood beach parties. 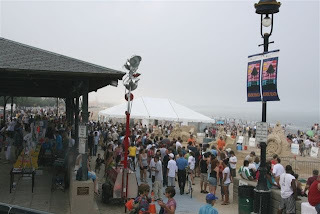 These events and programs have generated new enthusiasm for, and attracted new people to, our region’s public beaches. They have been important successes in other ways as well, helping to strengthen local community organizations and beach friends groups – encouraging them to create new partnerships with local government and area businesses, and strengthening their relationships with the DCR. In 2009, despite the tough economic climate, we have been able to bring more resources to the table. These include another generous grant of $25,000 from The Boston Foundation, and a similar amount of in-kind support from the DCR. They also include another grant of $3,000 from National Grid, and $2,500 from Comcast Massachusetts to support the program, enabling us to make grants totaling $30,500 this year – up nearly 10% from 2008! In addition, as they grow stronger, the local groups ability to bring resources to the table has grown as well. This year the local groups have secured more than $57,000 in sponsorships, donations, and in-kind contributions in support of these programs. Together we have invested more than $112,000 in these free events and activities this year, nearly twice what we secured last year! I hope you will take a few minutes to check out the blog posts about each of this year's events and activities that we supported on the beach in Lynn, Nahant, Revere, Winthrop, East Boston, South Boston, Dorchester, Quincy and Hull.